Comfortable and welcoming single bedroom with a shared bathroom in the Saaverda neighborhood, close to Nuñez and Belgrano areas. Cosy and comfortable single bedroom for rent in a nice apartement in Chacarita neighbourhood, close to Palermo Hollywood, Colegiales and Villa Crespo. Cheery single bedroom with a doble bed for rent in a duplex flat with a yard in Belgrano neighborhood. Comfortable single room with private bathroom and private living-room, for rent in a duplex flat with a yard in the best area of Belgrano neighborhood. Comfortable and bright bedroom for two people, with kitchenette, sofa, balcony and private entrance, in the best location in Belgrano. 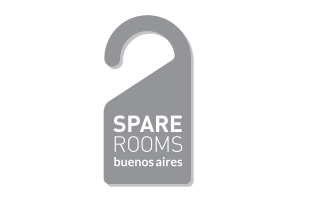 Comfortable and bright single bedroom, with kitchenette, sofa, balcony and private entrance, in the best location in Belgrano. Nice ans spacious single room to rent in a quiet neighbourhood. Good location.